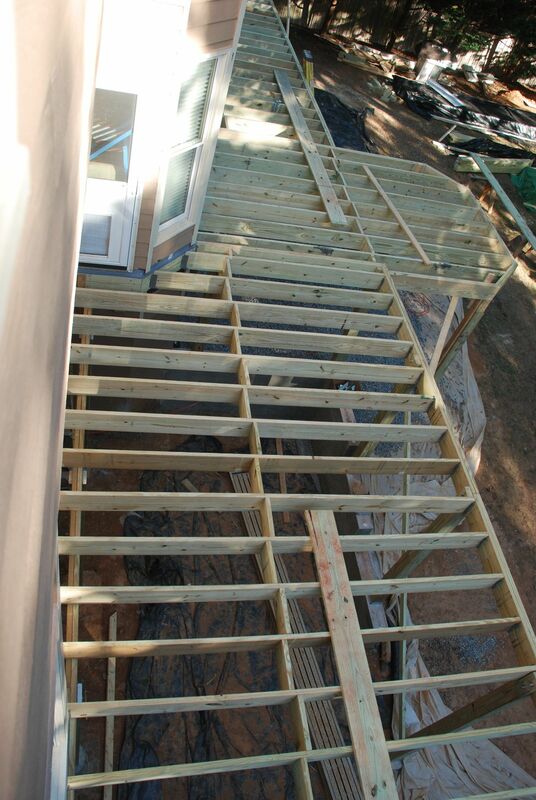 Framing inspections are usually only required for decks that are built low to the ground to make it possible for inspectors to their job without crawling under a deck. In these cases you will need to call for an inspection before the decking is installed so the framing is visible from above the deck. They will be verifying that you are building precisely what your plans indicated. Are you using the same size and type of wood as you specified? Is the joist spacing correct? Inspectors will also be looking closely at the specific connections as they are assembled across the frame. They will want to see that you are using the proper joist hangers and they are not missing any fasteners. They will also be interested in seeing how well your beams are connected to your support posts. Inspectors will be checking your framing to make sure it is consistent with your plans. They will be checking joist and beam spacing and all hardware connections.